I'll meet you at the top of the coconut tree. In early March, our church had a work day at a school down the street called the Fort Sanders Education Development Center. It is a great little school for special ed students mostly before they enter school for kindergarten. 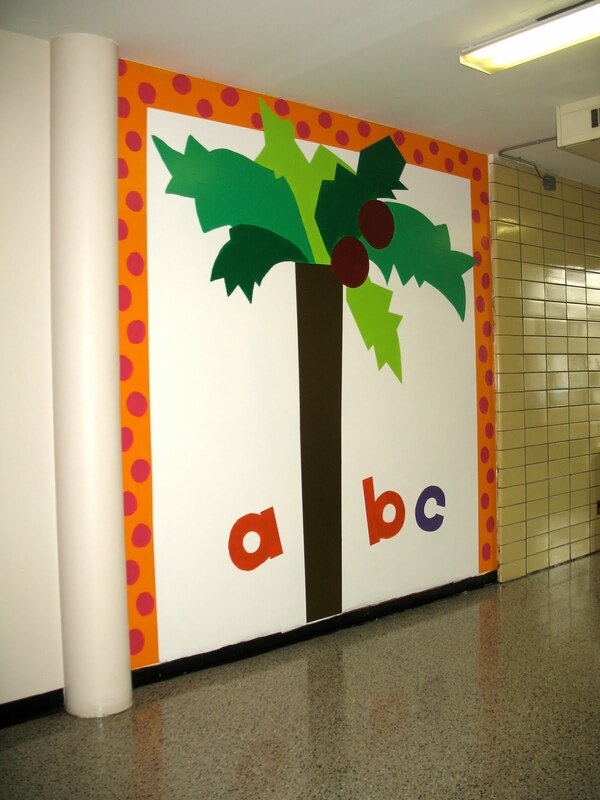 While helping paint a hallway wall, I happened to overhear the PTA President saying they were looking for someone to do a mural on the wall. I jumped up and talked to her about it. 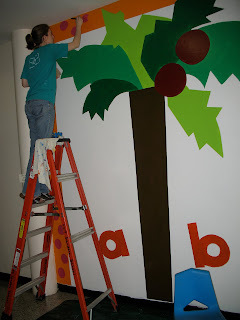 When I found out they wanted a mural based on the children's book Chicka Chicka Boom Boom I could barely contain myself. So I volunteered—despite the visual images in my head of my dear husband giving me the "are you crazy?" look and the stressed voice of reason in my head that started listing all the things I'm already committed to do. Nonetheless, I did the mural. Behold my last 3 weekends worth of work. Thanks to my wonderful helpers and especially my so wonderful husband who ended up coming and helping for much longer than he planned. Awesome experience! Something to mark off the list that wasn't on the list. Yes for over-achieving!